The label, “Christian,” is useful on multiple levels, and is a necessary silliness in our market-driven world. I say the label “Christian” is silly because it’s technically nonsensical (only a person can be a Christian), and despite everyone’s best efforts, Christian Art will mean different things to every person. However, before I buy a book, watch a movie, buy a t-shirt, etc., it’s useful to know the intentions of the creator behind it. Is the cheesiness in this movie artistic lameness, or sarcastic derision of my belief? Depends on the director’s intentions, which are derived in part from his beliefs—hence the usefulness of the label of Christian Art. Many say the beauty of Art is in the eye of the beholder, and that there is no meaning but for the one perceived by the viewer/consumer. I cry, “Nonsense!” Every piece of Art has intended meaning, and that intended meaning matters. Art is symbolic, and a symbol can’t exist if it’s disconnected from at least one solid, objective idea/object/person for it to represent (click here to read my extended Definition of Art). Our job as artists in the marketplace is to make Art in a way in which the viewer/consumer can easily perceive our intended meaning. If they perceive additional meaning, and that additional meaning is in line with our intentions, good! We know that no human Art is perfect, just like our perceptions and intentions are imperfect, just like the whole human race is twisted by our sin nature and mortal constraints like time and limited brain space. We confuse ourselves when we say perceived meaning and intended meaning are one. They’re not. They’re oil and water. We can try to mix them, but the laws of nature force them apart. Let’s take a look at God’s Art (humanity, dirt, physics). To say the meaning of mankind is exclusive to our finite perception of ourselves is nonsense. God intended something specific when he made us, and to say our perception defines God’s intentions is like claiming that we are God. Just because we are all little creators chasing after the Big Creator doesn’t mean the same rules don’t apply to our Art as to the Creator’s Art. There is intended meaning in all Art, and there is also perceived meaning. There are endless layers to those two different kinds of meaning, but just because we don’t perceive some intended meaning doesn’t mean it isn’t there or that it doesn’t matter. Any Artist who says, “I wasn’t trying to do anything when I made that piece of Art,” is either lying or confused. 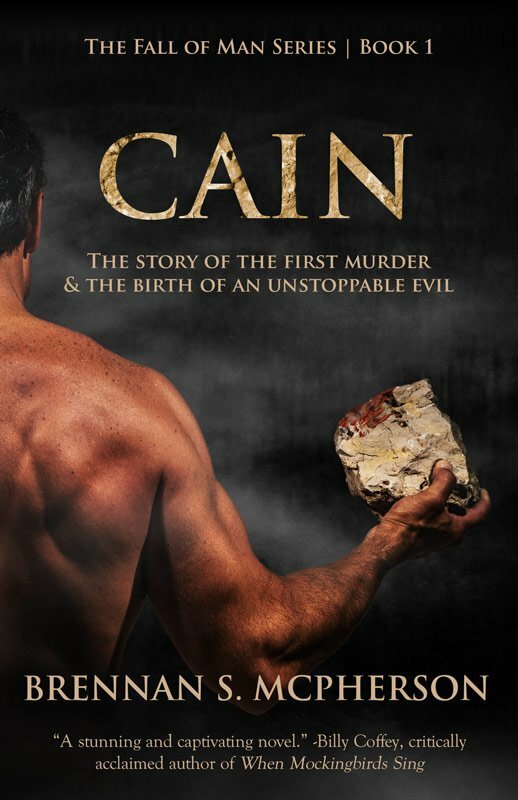 When I started writing Cain, I had no idea what I was doing or why. When I finished Cain, I still had barely any idea what I had done or why. All I knew was that I had a very strong compulsion to write the story of Cain and Abel, and some elements of why I did it the way I did still make me scratch my head. I think that this is a common experience among novelists in particular, and Artists in general, and is the reason why so many Artists try to erect some sort of mystical aura around their creation. When asked to explain in totality why we made something, “Uhhhh—not entirely sure,” just doesn’t sound good. But I think, more often than not, it’s close to the truth. That doesn’t mean there weren’t intended meanings to the Art. I made choices based on my intentions with every single word written. The problem is that I can’t remember all those reasons. Then there’s you, the reader. What meaning did you perceive in the story? Of course, as the Artist, I hope every reader will perceive what I intended them to perceive. But that’s just not the way it works. Life is messy. We write an email with the best of intentions, and get rage in reply. But if the person raging knew our intentions, which are informed by our beliefs, maybe they would be less likely to rage. All this to say, I think it’s fine from a practical perspective to call stuff “Christian,” and so does pretty much everyone else, when it comes down to it. Now it’s your turn. 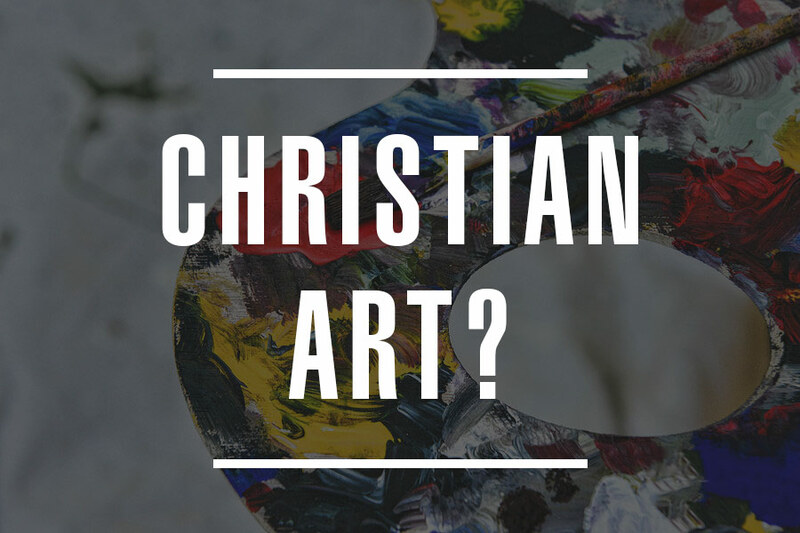 What do you think about labeling someone’s work as Christian Art? Comment below! And be honest, because I’m sure some of you disagree. Well stated. ‘Humanity, dirt, physics”- inspired! Surfer Jesus and “(Charles)Schultzian” Noahs are inextricably linked, well no, definitive of “Christian Art”. As one making sculptural objects (figures) that are centered in Christ consciousness, I prefer “sacred statuary”. Then there’s this dilemma: can a lay person qualify his/her work as sacred? If its intended meaning, impetus, or Source is holy, then yes, of course. Does “Sacred” imply elements or embedded content in the work of a more complex ascetic nature? One can only hope! To claim (not label) a work as sacred is to insist that its intentions, to the degree that we ‘creations’ can know them, are as intricate and compelling as ANY contemporary art discourse. I like that, Doug. “Sacred statuary.” I think the idea you deposited of our work being sacred is really the core of it. It’s about the purity of our intentions, as based in the person of Jesus (who is the Word–so that includes the scriptures). As priests under the new covenant, all our work should be sacred, from how we fix the plumbing in someone’s house, to how we write our music. I think I’d prefer “sacred” as the descriptor if it didn’t have mystical connotations connected with new-age spiritualism, etc. Thanks so much for reading, and for commenting! I always appreciate the opportunity to dialogue with other artists. Blessings, brother.